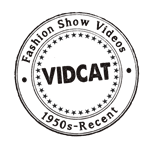 Vidcat is a New York based media production and licensing company specializing in fashion show footage, beauty and lifestyle videos. We’re all about fashion and style. We’re obsessed with Fashion History. And we think videos should be high quality. Established in 1985, we started producing and distributing fashion videos for designers (Tommy Hilfiger was our first client!,) brands and stores. MTV music videos was all the rage and fashion brands created their own “fashion films” to showcase their image and products. Vidcat became the main distribution company, sending fashion videos (3/4″ tapes) to news stations, broadcast TV programmers and retail stores. We soon started to produce videos and cover Fashion Week for distribution as well. The Vidcat Fashion Video Archive contains exclusive fashion runway shows (1980s-recent), backstage hair, makeup and designer interviews, fashion trends and model footage. The centerpiece of the collection is a series of original 1950s-1960s B&W fashion newsreels. Fashion Footage from the archive is available for stock footage license. Please Contact Us with any fashion show footage license requests. We strive to document fashion history as it happens. 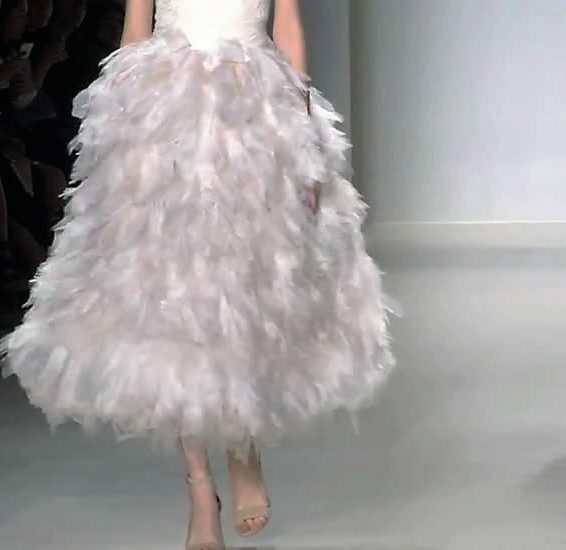 Our video archive (1950s- recent) features fashion runway shows, backstage interviews, fashion films and vintage newsreels. We look forward to providing fashion schools, universities, libraries, agencies and all fashion related industries access to the archive as a research and educational resource.